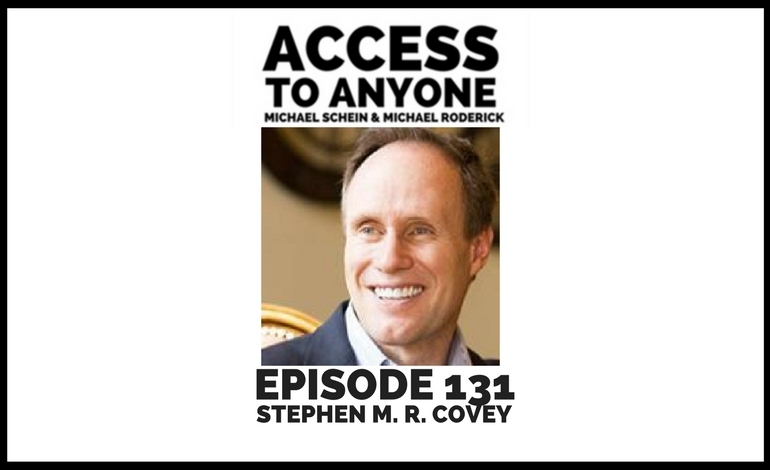 Today’s guest is Stephen M. R. Covey, the bestselling author of The Speed of Trust. Stephen M. R. Covey is the co-founder of CoveyLink and the FranklinCovey Global Speed of Trust Practice. As a sought-after and compelling keynote speaker and adviser on trust, leadership, ethics, sales, and high performance, Stephen speaks to audiences around the world. He is the New York Times and number one Wall Street Journal bestselling author of The Speed of Trust, a groundbreaking, paradigm-shifting book that challenges our age-old assumption that trust is merely a soft, social virtue and instead demonstrates that it is a hard-edged economic driver and a learnable, measurable skill that makes organizations more profitable, people more promotable, and relationships more energizing. He advocates that nothing is as fast as the speed of trust and that the ability to establish, grow, extend, and restore trust with all stakeholders is the critical leadership competency of the new global economy. Stephen passionately delivers that message and is skilled in enabling leaders and organizations to experience the dividends of high trust. Audiences and organizations alike resonate with his insightful, relevant approach to real-time issues that affect their immediate and long-term performance.